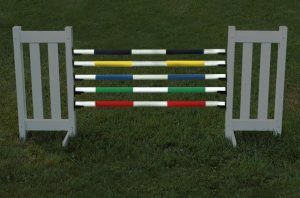 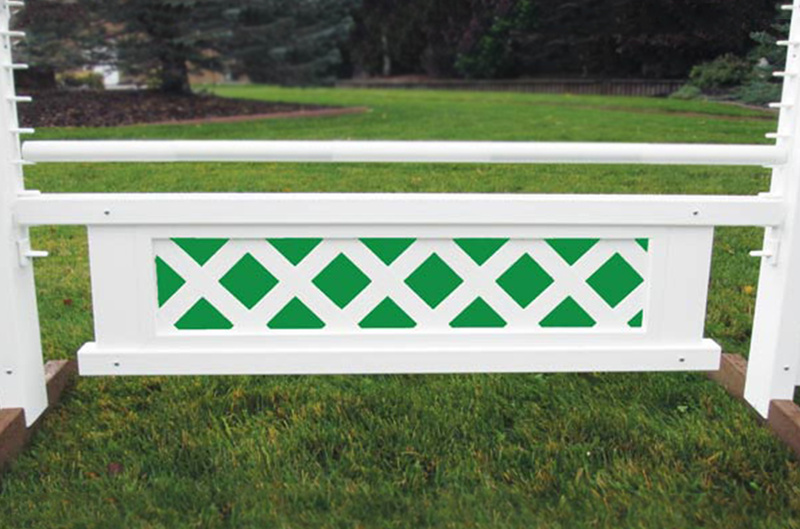 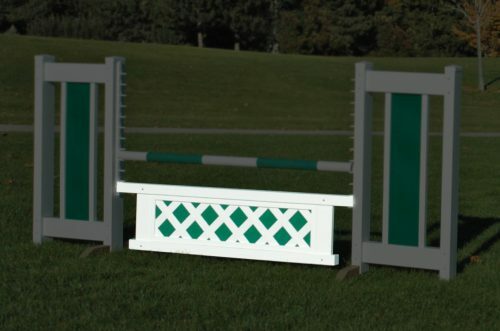 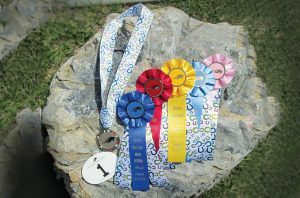 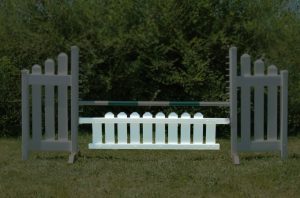 Our adorable mini lattice gate is the perfect addition to your jump course. 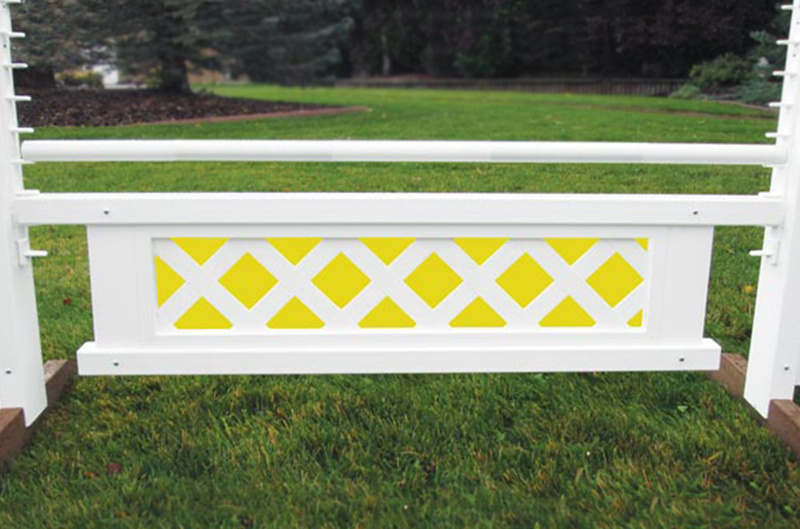 Attractive white lattice accented by a colorful panel. 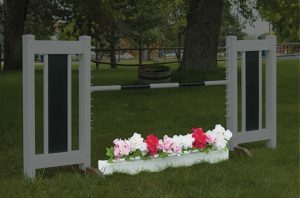 The gate is 12″ high and 48″ wide.